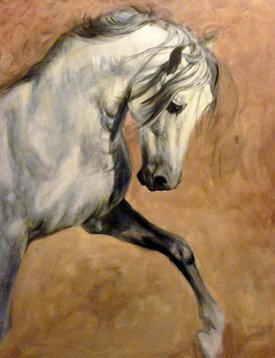 Judi used to breed arab horses at her stud farm Judal Arabians hence why arabian horses are one of her favourite horse breeds to paint. Arab horses are one of the oldest and most recognisable breeds of horses in the world because of their head shape and how they carry their tail. 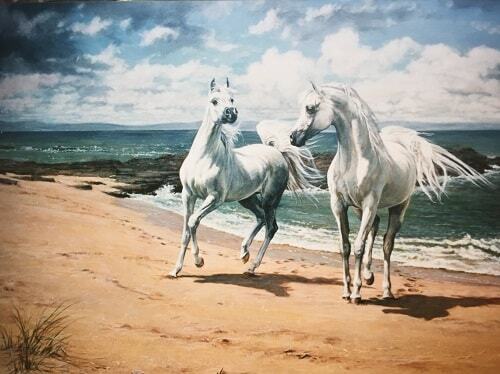 Arabians are renowned for their speed and endurance which makes them a popular horse to cross breed from. In Judi's work she tries to capture the essence of the arab horses characteristics with their strength and movement. 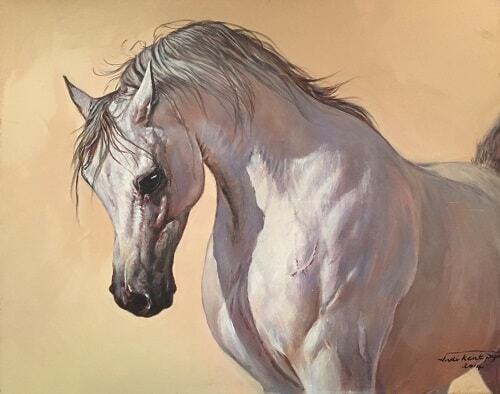 If you are interested in Judi Kent Pyrah's Arabian horse artwork and wish to purchase one of her Original Arab Paintings or Limited Edition Arab Horse Prints click here to contact her directly or if would like to join the artists newsletter please click on the box in the contact section below. ​Or if you would like to commission a painting please telephone or email Judi directly, who will be happy to discuss any requirements or queries. 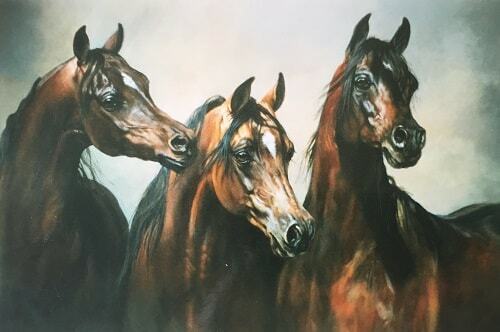 Internationally acclaimed arab horse artist and arabian horse artwork..
Judi Kent Pyrah's natural artistic talent was nurtured since childhood. read more about Judi on absolute arabians. 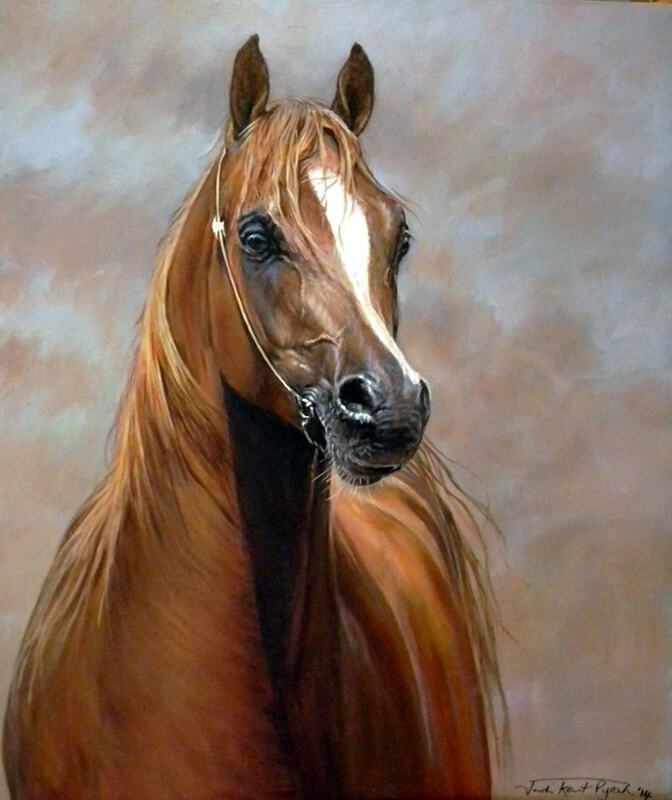 At 17 she began painting portraits, dogs and arab horses for a living and cherished a dream of a life painting and working with horses. 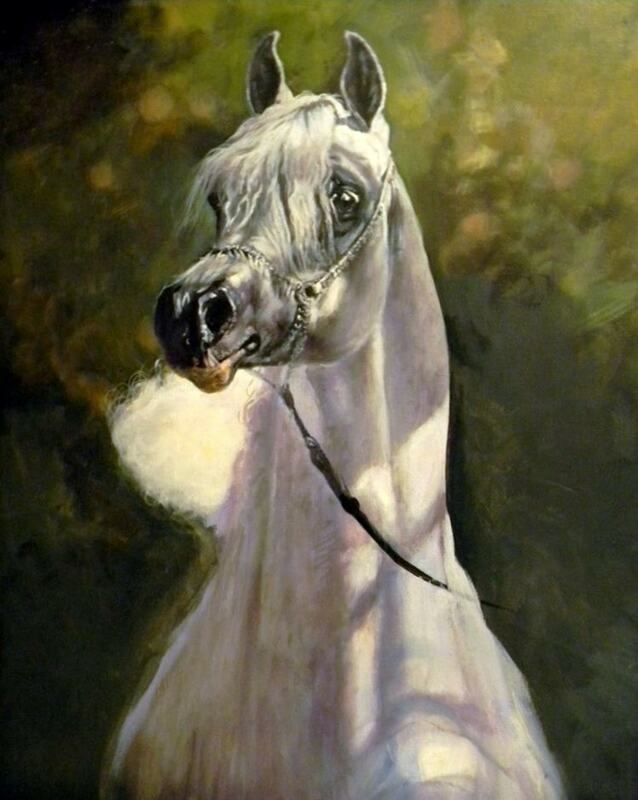 Her work has been exhibited and published in Canada and America for many years and more recently in the UK, with over fifty published works featuring mostly arab horses and canine subjects. 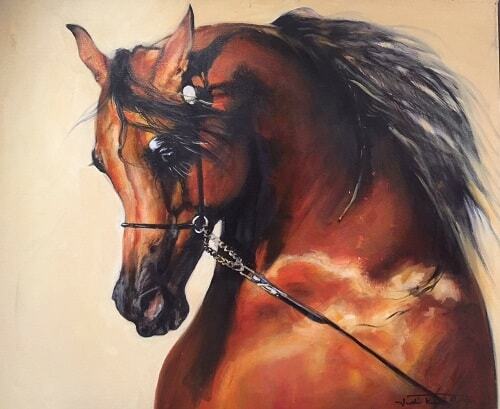 Judi is one of UK's leading Equestrian and Arab Horse Artists. 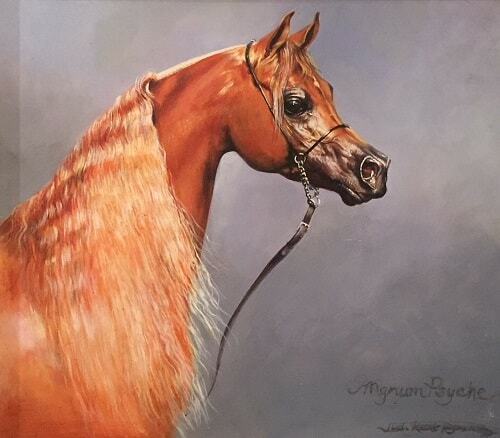 Her ability to capture the movement and power and attitudes of arabian horses has made her a much sought after arab horse painter. 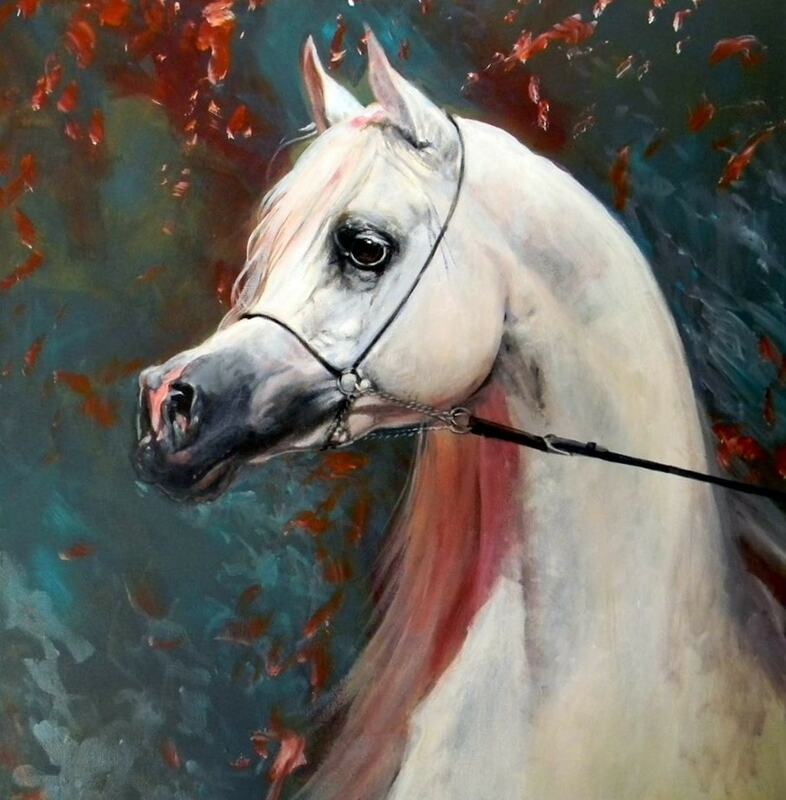 Judi is an exceptional painter of arab horses and manages to capture every muscle, movement and the personality of each horse she paints.